Following suit with OnePlus is HMD Global with its Nokia 6.1 Plus device that sees the option to hide the notch return following the Android 9 Pie update. 2018 has truly been the year of the notch when it comes to smartphone design. 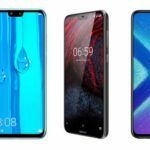 In a trend kicked off by the Essential Phone and adopted by the likes of the OnePlus 6 and refined by the Oppo F9 with a waterdrop design, it’s a feature widely adopted to achieve a bezel-less display. However, a notch isn’t necessarily to everyone’s taste and some would prefer to preserve a larger bezel at the top of the device to house the front-facing camera and sensors in a bid to avoid needing a notch. OEM’s have identified this variable user preference and have begun offering the ability to hide the notch. One such OEM that has seen the ability to hide the notch is the OnePlus 6 that sees the black screen either side of the notch ‘turned off’ to equalize the line that surrounds the notch and appears like the notch is no longer there. 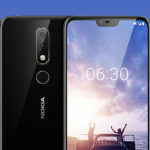 Following suit with OnePlus is HMD Global with its Nokia 6.1 Plus device that sees the option to hide the notch return following the Android 9 Pie update. 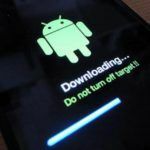 The latest version of Android provides native support for notches, which can be enabled in developer options and then used to hide it. 1) Enable Developer options by going to Settings > About phone and scrolling down to the System section to look for Build number. 2) Tap on it seven times and you will see a message about developer options now being enabled. 3) Head into developer options from the system settings menu. 4) Tap on Developer options and toggle on “Full Bezel” option to hide the notch. 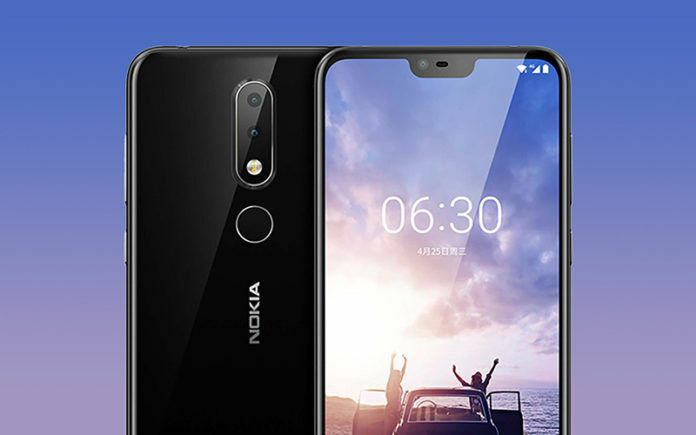 The Nokia 6.1 Plus is identical to the Nokia X6 and has a notched display which seems to be the trend of 2018 as OEM’s look to push the boundaries of increasing screen real-estate while reducing the bezels. A cutout notch at the top of the display houses the sensors required for things like proximity and of course the ear speaker and front-facing camera. The notch is part of a 5.8-inch IPS LCD display with 1080 x 2280 pixels Full HD+ resolution and a 19:9 aspect ratio. As far as processor goes, the Nokia 6.1 Plus is powered by a Qualcomm Snapdragon 636 octa-core processor clocked at 1.8 GHz with an Adreno 509 GPU. The smartphone is equipped with 4GB of RAM and comes with 64GB of internal memory. For further expansion, HMD has included Hybrid Dual-SIM slots that will house either two SIM cards or a single SIM card with a micro-SD card. The Nokia 6.1 Plus comes with a 16MP + 5MP AI dual-camera setup on the back with the primary 16MP sensor coupled with a f/2.0 aperture and the secondary monochrome sensor paired with a f/2.2 lens. While the smartphone does come with various AI-powered camera features, it does not support 4K video recording. For selfies and video calls, the Nokia 6.1 Plus features a 16MP front-facing camera with a f/2.0 lens, AI Portrait Mode and Face Unlock support. 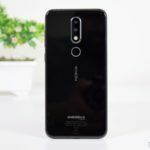 Connectivity features offered by the Nokia 6.1 Plus includes Wi-Fi 802.11 a/b/g/n/ac dual-band, Bluetooth 5.0 Low Energy, GPS with A-GPS, GLONASS, BeiDou, a USB Type-C port, and 4G VoLTE. The smartphone is backed up with a 3060mAh capacity battery with Qualcomm Quick Charge 3.0 support and also comes with a rear-mounted fingerprint sensor. The Nokia 6.1 Plus will set you back ₹ 15,999 for the 64GB of internal storage with 4GB of RAM model, but since it’s sold out currently, you’ll need to wait until the next round of sales before being able to get your hands on one. The smaller Nokia 6.1 is in stock if that is more your preference, which starts at ₹ 14,499.